Our school seeks to provide high quality education rooted in Christian values and is inspired by our faith to serve. I know that I am unique and loved by God so I shall love and respect others. I will try my best in everything I do and I will trust in God to help me. When someone is hurting I will choose to care even if they are not my friend. I will remember the needs of others and be caring always even if it means putting my needs second. I will be brave. I will do what is right even if my friends tell me to do otherwise. "my children understand them and refer to them often and they are unifying for the school and its pupils"
"despite not being a church goer, I like that my daughter is learning the values of Christianity"
"they teach the children basic lifelong skills and values"
"my son tries hard to follow them in his normal life"
"it's less about the actual words and more about a culture of consideration for others"
"they are good watchwords for life. 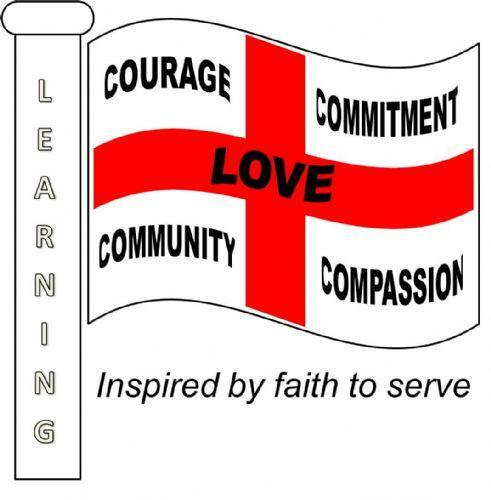 The values are incorporated well into collective worship"
From a child "everyone knows them and they are everywhere"
What does it mean to be a Church of England (CE) school? St George's is Voluntary Controlled (VC) Church of England Infant School. A voluntary controlled school is a state-funded school in which a foundation or trust (usually a Christian denomination) has some formal influence in the running of the school. At St George's, our two Foundation Governors are members of the parochial church council at St George's Church. They are joined by the Rector of the Chenies Benefice (of which St George's Church, Little Chalfont is part) who is ex-officio Governor at the school. You do not need to be a Christian or of any faith to attend this school. Please read our Admissions Policy for further details on admissions to the school and the supplementary forms for Church attendance. 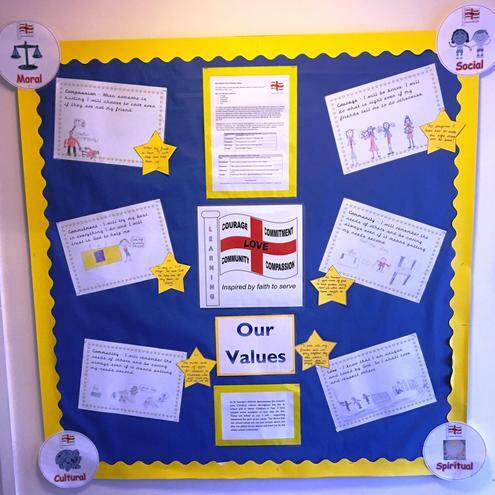 Our Core Values also link to the Rights Respecting Schools Award.